We’ve all had to read The Adventures of Tom Sawyer and Adventures of Huckleberry Finn in school. If you’re one of those people who enjoyed the book, then you’ll enjoy these Mark Twain quotes as well. Born Samuel Langhorne Clemens, Mark Twain wasn’t just a writer but also an inventor, entrepreneur and lecturer. He was known as the greatest American humorist of his age. Apart from his humorous writings, Mark Twain became known for his radical views about civil rights and imperialism, too. 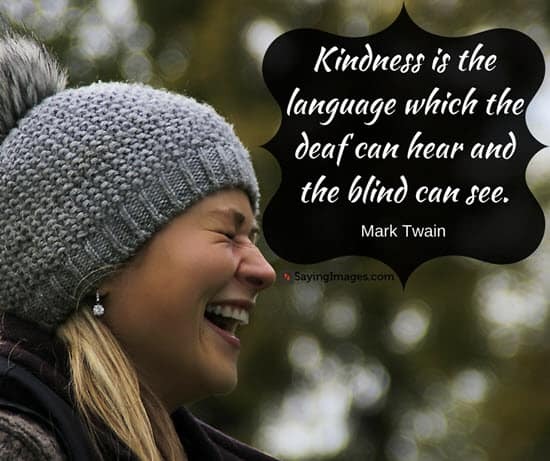 In this post, Saying Images shares with you some of the most famous Mark Twain quotes. Be inspired to love, travel and live life to the fullest. The most interesting information come from children, for they tell all they know and then stop. There are basically two types of people. People who accomplish things, and peopl who claim to have accomplished things. The first group is crowded. The common eye sees only the outside of things, and judges by that, but the seeing eye pierces through and reads the heart and the soul, finding there capacities which the outside didn’t indicate or promise, and which the other kind couldn’t detect. People who always feel jolly, no matter where they are or what happens to them—who have the organ of hope preposterously developed—who are endowed with an uncongealable sanguine temperament—who never feel concerned about the price of corn—and who cannot, by any possibility, discover any but the bright side of a picture—are very apt to go to extremes, and exaggerate with 40-horse microscopic power. Spiritual wants and instincts are as various in the human family as are physical appetites, complexions, and features, and a man is only at his best, morally, when he is equipped with the religious garment whose color and shape and size most nicely accommodate themselves to the spiritual complexion, angularities, and stature of the individual who wears it. Part of the success in life is to eat what you like and let the food fight it out inside. Did you find any of these Mark Twain quotes inspirational? If yes, don’t forget to share them on your social media!